PureLink GmbH, a German-based manufacturer and distributor of professional AV equipment has embedded Semtech’s BlueRiver™ platform for Software Defined Video Over Ethernet (SDVoE™) into its new IPAV Pro Series product line. Our comprehensive BlueRiver chipset and software API helped PureLink build a high performance video system for demanding professional applications. I agree with PureLink’s Technical Director, Robin Cullen, that the Pro Series delivers a high performance video distribution system that is ideally suited for demanding professional applications and provides a plug and play solution for AV professionals who may still be wary of IT-based solutions. The sleek SDVoE-compatible, plug and play transmitters and receivers are perfect for the future of AV switching and distribution. The SDVoE solution places revolutionary 10GbE IP switching technology within an aluminum chassis, designed specifically for field applications like the rental and staging industry. The IPAV PRO series is equipped to handle all conceivable AV applications such as an extender, switcher, splitter, matrix, or video wall controller. By combining IP-based input and output points (Tx / Rx), the IPAV Pro Series is able to replace the functionality of traditional AV distribution products with a level of flexibility previously unavailable. 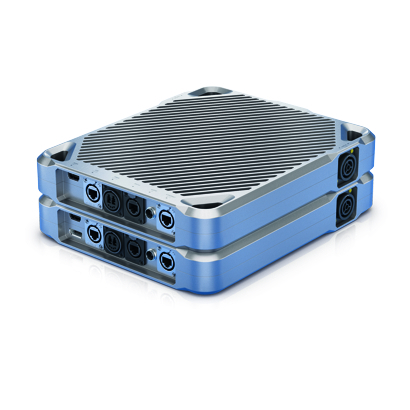 The rugged IPAV Pro chassis is made of CNC milled aluminum and features a recessed connector panel for superior plug protection with a full set of robust professional field connectors, each of which is separated from the main PCBA for added durability and cost-effective field repair. The chassis also has a dual data transport method over CAT and Fiber, scratch-resistant coating, and truss clamps for flexible mounting. The IPAV Pro1200 Series cards utilize tried and tested broadcast standard infrastructure, in the form of the OpenGear OGX frame, to achieve an I/O density of 10 ports per 2U; outperforming the compact I/O performance of the fixed matrix frame. The PureLink IPAV Pro Series joins a growing ecosystem of interoperable SDVoE-compatible products. 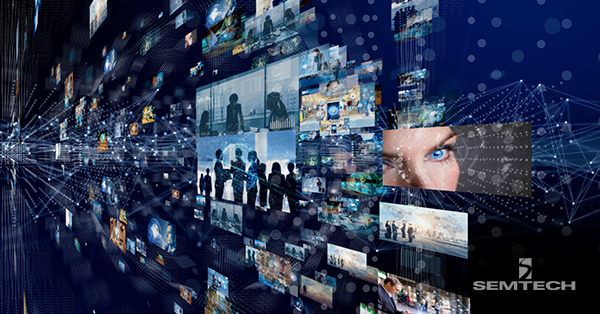 PureLink’s global leadership in the Pro AV industry will expand the reach of Semtech’s BlueRiver-based solutions and enable use in key applications such as event staging. BlueRiver is a trademark or service mark of Semtech Corporation or its affiliates, and SDVoE is a trademark or service mark of the SDVoE Alliance™.